Recently eager attendees to several auto shows got their first peak at the latest RAM model. The all new RAM 1500 Rebel won’t be available at Melloy Dodge until this fall, but in anticipation, we’re giving you a sneak peak of this game changer of a truck. 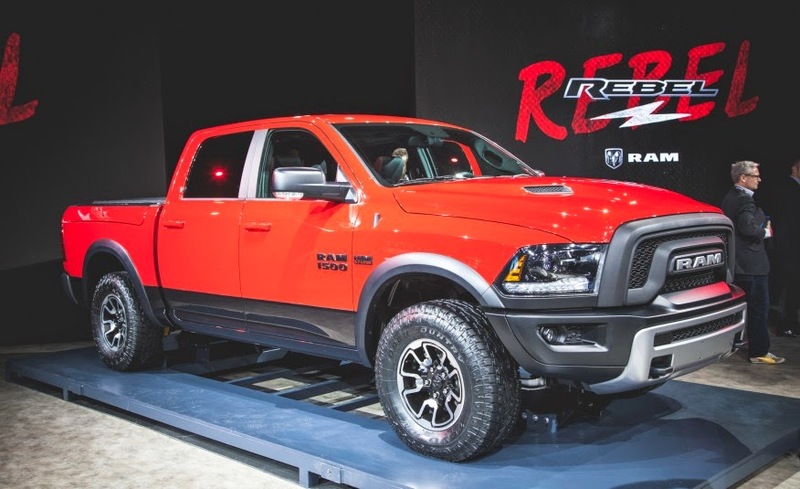 The new-for-2015 Rebel, while part of the legendary line of RAM 1500 trucks, departs from the traditional design of the 1500s, and in terms of styling becomes the true “rebel” of the line. Examining the flashy exterior of the Rebel, what most people notice first is the distinctive styling of the front grill. As opposed to the timeless crosshair grill of other 1500 models, the designers of the RAM Rebel have chosen a futuristic blackout style. There are lighting changes, too. Black-bucket headlamps with LED accents give you better light in the backcountry, and matching LED foglamps give you better range of vision. Speaking of heading into the backcountry- the RAM Rebel has impressive capabilities that go to work for you on rough terrain. A twin snorkel sport hood will turn heads, while the close cropped front bumper allows for maximum maneuverability, and 360-degree tow hooks mean more versatile towing capability. A tucked in back exhaust keeps your equipment out of harm’s way when off roading, and 17 inch wheels make sure you never get stuck. Under the hood buyers have an option between a 3.6-liter Pentastar V-6 engine, or the 5.7-liter Hemi V-8. Both engines have a solid track record and deliver great horsepower to get your toughest jobs done. The fantastic suspension offered in most RAM models has been recalibrated here to enhance the off-road ability of the Rebel. Are you ready for the new RAM 1500 Rebel? If you’re an outdoor enthusiast than this is the perfect truck for you! Stay in touch with Melloy Dodge on our official website and Facebook for all the latest news about the Rebel. Can’t wait until the fall to get your hands on a new truck? Our classic high performing RAM 1500, RAM 2500, and RAM 3500 models are available right now on our lot on Coors NW!